It was unconscionable for the duchess to allow Sal to be forced by Crowbait at a house party, then be maligned at Court and in Society, then let Haverford take her away moments before Toad arrived to protect her! How dare she! How dare any of them! Sally Grenford belonged to David Northope, and she was his to protect, everyone else on the planet be damned! He knew it would destroy his chances if he exploded, as he always did with his father, and sometimes with his mother. He knew the duchess didn&apos;t even deserve all the anger building up to the rhythm of his steps and rapid heartbeat. He turned around and paced back the way he had come to keep himself from wrecking what was left of his life but stopped halfway down the hall and turned back. His footsteps gained weight and speed as he traversed the last hallway, until he reached the steps to the second-floor business offices. He took the stairs to his mother&apos;s office slowly, deliberately, marshalling one last internal argument, again and again, with each step, a silent mantra to calm his steadily increasing rage—if he weren&apos;t allowed to marry Sally, he would run away with her. At the last second, as his hand reached the doorknob, all thoughts, all steadying inner monologue, flew out of his head—except the vision of his mother placing Sally on a boat to leave England. He shoved the door open so hard it banged against the wall and bounced back to his outstretched hand, so he slammed it shut. As she looked up from her ledgers, he shouted, "How dare you! How bloody dare you send her away from me after you told me to come home! You are heartless, Your Grace!" The duchess shot to her feet, upsetting her chair, stumbling in her haste, blinking away a haze of sudden tears. "David. Oh, dear God, David. We have been so concerned. You cannot know." She stepped around her desk and tried to embrace him, but Toad stepped back. She would not be stopped from reaching out to touch his arm, his shoulder, as though to ensure he wasn&apos;t a mirage. "I have been so worried." Toad took one more step back. "I appreciate your concern, but, as you can see, I am hale and hearty, and wondering why my bride does not await me. 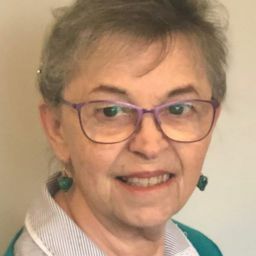 I can only assume you and the Detestable Duke choose to believe the damnable rumours Haverford has used as a reason to deny my honourable suit; that you think I pose some sort of danger to Sally&apos;s well-being." With a snarl, he began pacing back and forth across the room, his hand running through his hair. "You look just like your father when you do that," she said, her lips softening just a touch. "A bit younger than he looked when I first met him." Toad stopped his pacing short and dropped his hands to his sides. "And no, no one in your family believes you a danger to Sally. And your family includes Haverford, though he hasn&apos;t yet admitted he is wrong." With every ounce of his father&apos;s disposition, Toad gathered himself to pronounce: "That man is most certainly not a member of my family; nor will he be until I am forced to it by marriage to Sal. And I half-hope he disowns her when we wed, so I will be spared his loathsome presence in my home. Further, I will claim no more ties to you or the duchy or Seventh Sea. You may leave it all to charity, for I no longer wish anything to do with you or His Grand Imperiousness or the Haverfords, or anyone who would keep me from Sally. I will have my belongings retrieved from Dalrymple House in the morning, and Wellstone by the end of the week. Unless, of course, the duke had them delivered to my solicitor upon my disownment." Reaching up to touch his face, she dropped her hand when he stepped back again. "David. Stop. You must listen to me." "I must do nothing in this world but inherit a damned duchy when my father dies." "David. You have had a shock; I know. But I beg you hear me before you harm your chances with Sally even further." "And how in the bloody hell can I possibly do that? He&apos;s taken her to the other side of the world, and you helped him! Don&apos;t deny it. Hawley just told me: &apos;Missus Bella chose the crew herself.&apos; You have chosen to stand against me, Mother. After you led me to believe you would fight for me." Her voice deeper and graver, she said, "I have never stood against you. No one stands against you. Haverford is only trying to keep Sally safe, though the rest of us—your father and I included—have told him again and again he is going about it the wrong way. We have done what we can to mitigate the damage and give both you and Sal reason to hope." 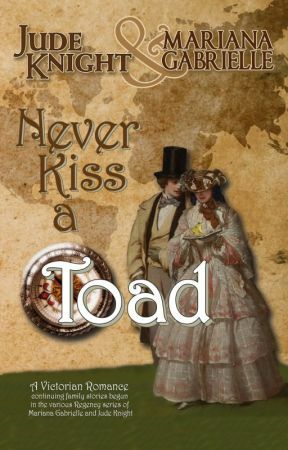 At the idea his father might be acting on his behalf, Toad started, and when she finished, he fell into a chair in front of her desk, rubbing a hand across his face. She put a hand on his shoulder. "Your father does that, too, when I have tormented him beyond endurance." He lowered his hand to his knee. "Will you have tea with me and allow me to explain myself? Or will you cut yourself off entirely from the family that loves you?" He looked around for the decanters he knew she kept for meetings with Captain Hawley. With a slight smile, she shocked him speechless by pouring a brandy for him. When she handed it to him on the way back to her seat, chancing to stroke a hand across his head as she had when he was a little boy, she said, "You are a man now—a well-educated man—with a title and lands of your own and one day, yes, your father&apos;s damned duchy." He looked up at her foul language, out of character for his mother, but when she smiled at him, he looked away. "You may choose any course you like, David. But I should be grateful for the chance to make my case before you do." He nodded shortly and took a sip of his drink as she slid back into her chair. "Thank you for your forbearance, my son." She reached across the desk to touch his hand and he pulled it back. "I will explain why I sent Sally on one of our ships, and why I chose the crew I did, it you would like." "I shall, thank you. I put them on one of the royal ships for comfort and out of respect for Haverford&apos;s position—and by my private request to the queen. Because they will travel on my ships, not Her Majesty&apos;s or a public steamship, I can be assured first knowledge of their whereabouts at any time. Every time they reach a new port or leave one, I will know about it as soon as the news can reach me, and as Her Majesty&apos;s ambassadors, the Haverfords will be staying, for the most part, with the same contacts as Seventh Sea. And as I have just confirmed only minutes ago, Captain Hawley will soon join their party to ensure any or all of them are returned to England safely, and without delay, upon my order." Hawley might have made his life miserable on many occasions, but he could be trusted implicitly to protect Sally, and he would never, ever cross Toad&apos;s mother. If Toad didn&apos;t want so much to be the man standing between Sally and any possible danger, he would be grateful. However, he was not currently in the mood to be grateful.